If you are a horse enthusiast you probably know that there are over 300 breeds of horses out there. Some of these breeds are typical to horse racing, flat racing, jump racing or equestrianism, and they come in different shapes and sizes. Let’s take a look at the list of some of the incredible representatives of the Equidae family! Some people misuse the term “Thoroughbred” and use it to refer to any purebred horse, while it is actually the name of one single breed. These grandiose horses are used mainly in horse racing, and they excel in jumping, running, and dressage. Their agility, reaction time, and temper are precisely why they are the preferred breed among the professional jockeys! With its origin straight from the Arabian Peninsula, a very peculiar head shape and a natural high carriage, this horse breed is the most recognizable one across the globe! Yet another interesting fact about the Arabian horse is that this breed is perfect for endurance riding. They are also really obedient and fast learners. Once you see this incredible horse with its leopard spotted coat that comes in a myriad of colors you will realize why it is one of the most popular horse breeds around the planet! Used mainly as a stock horse, the Appaloosa breed is used for Western riding disciplines as well as other equestrian sports. Not an actual breed, but rather a group of breeds and types of horses, suitable for dressage and popular as a sports horse. 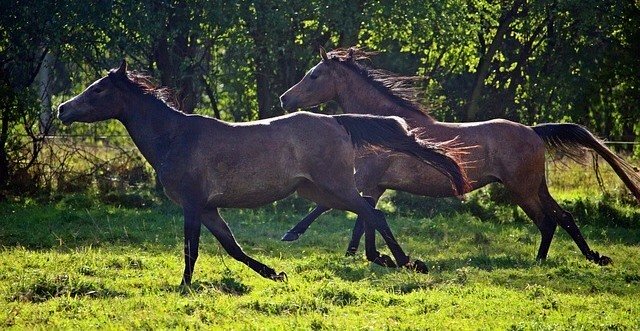 It is believed that many of the Warmblood horses stem from one descendant breed, the Forest Horse. 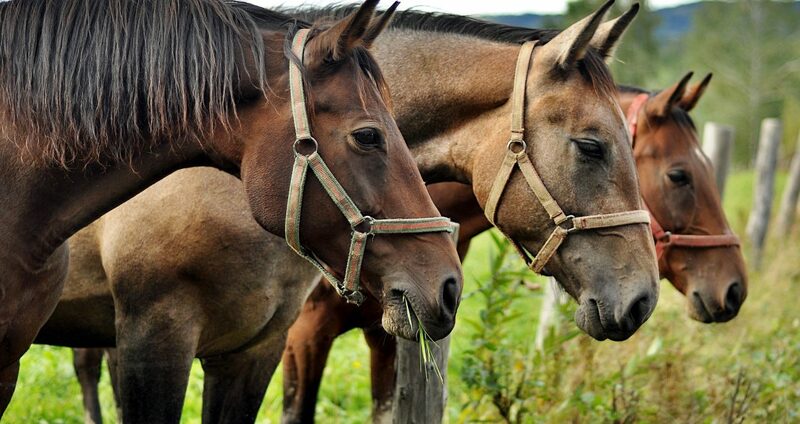 Some of the most famous representatives of this “breed” are Trakehner, Hanoverian, Oldenburg, and Holsteiner. The Andalusian breed, which originated from the Iberian peninsula, appeared during the 15th century. This incredible breed with long and thick mane was particularly appreciated among the royalty, while one of its main purposes was to be a war horse. The looks of this horse are truly noble-like: strong body, great posture, elegant behavior, and greyish bay coat color. Miniature horses belong to the breed which comes from the early 17th century from Europe. What characterizes these cute horses is their short growth, and they are usually being measured from the last strand of their mane hair. They are not to be confused with ponies, as they are considered to be horses despite their height. Quarter Horse is yet another popular horse breed dominant in the USA, and maybe even in the world. This horse breed is mainly revered for its speed on the short distance races. It is primarily used in competitive sports, and some are used for trail riding. Moreover, the Quarter Horse breed is often used for the so-called western pleasure riding, and it is also regarded as a trusty hunting companion. The most common coat color of these horses is sorel, which is a sort of a brownish chestnut red, though other variations are also possible.